Helloooo out there, my wonderful amazing readers! Today I have kind of a huge post for you, oops. 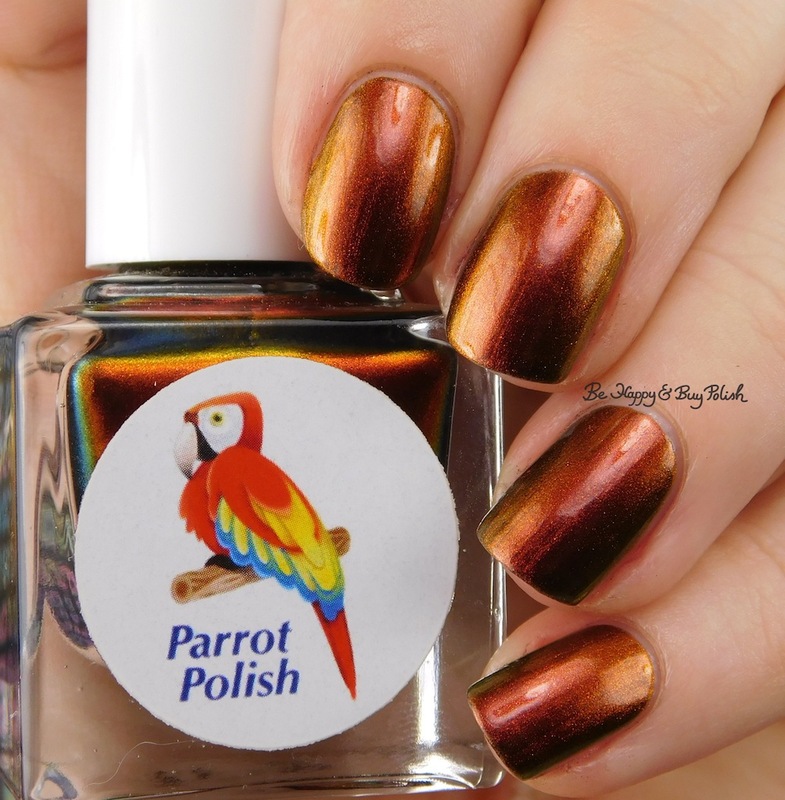 😛 But I have three gorgeous polishes to show you from Parrot Polish, then nail art I created with said three polishes. 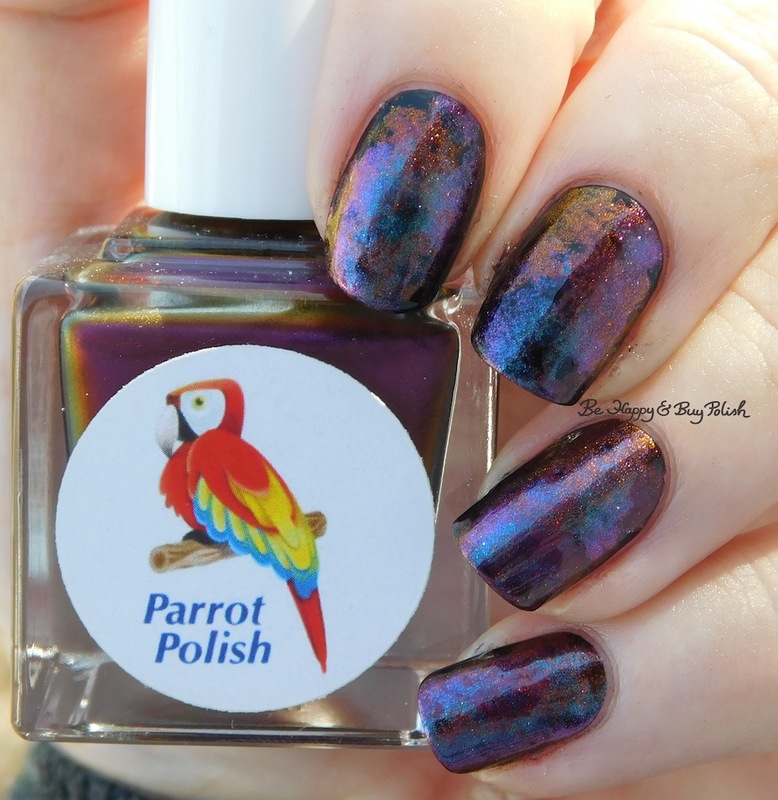 The three polishes were created for the Facebook group Multichrome Madness, where we are in love with all things (not just polish) multichrome. Enough blah blah blah, onto the show, eh? 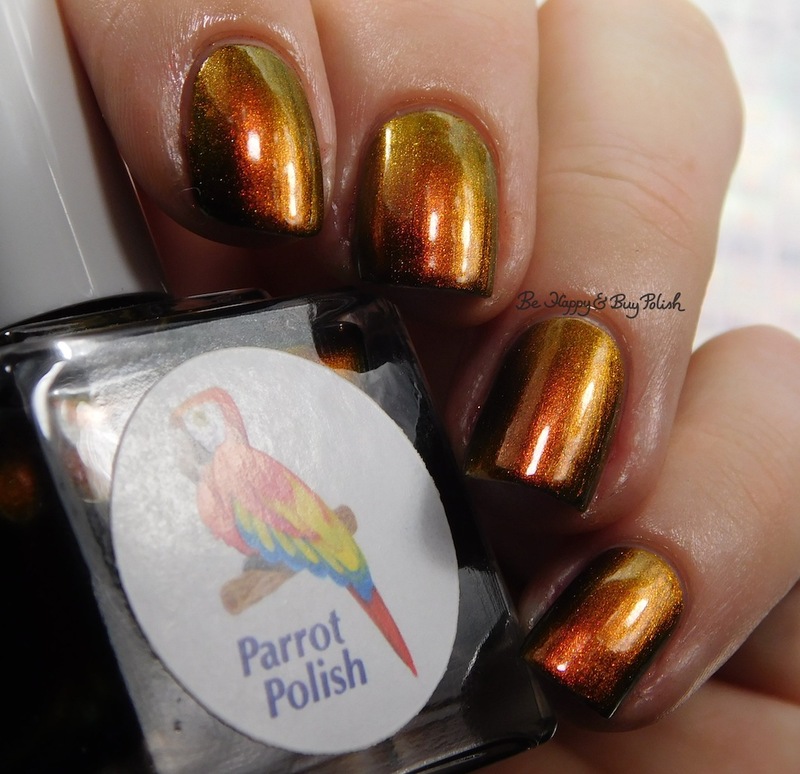 First up is Phoenix Rising, an orange to gold to red multichrome with bronze to olive green to yellow shift. Formula was a little thin and floody, it applies sheer on the first coat. This is 2 coats and no top coat. I think this is my favorite, which is a surprise! 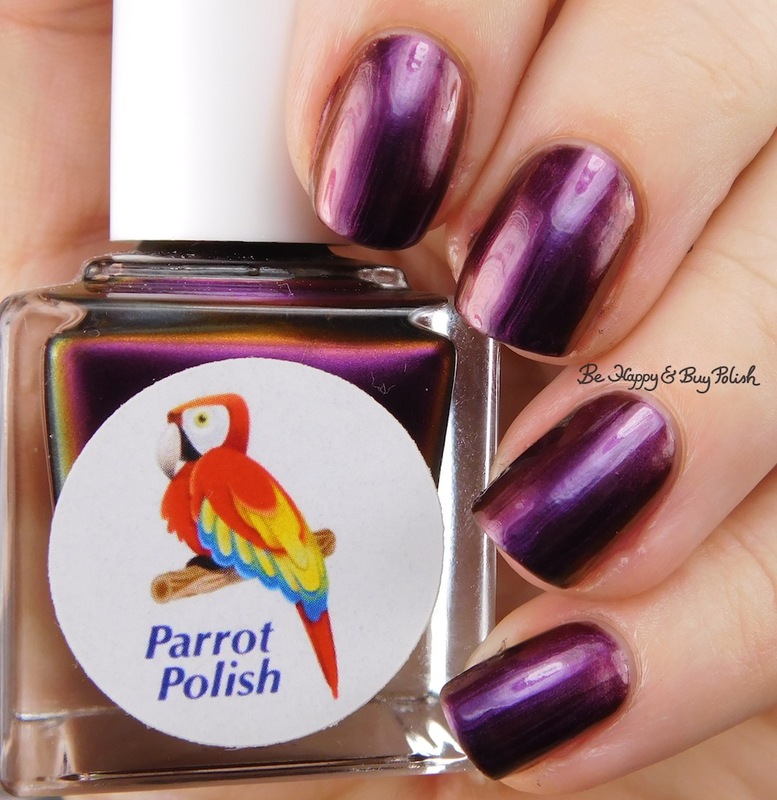 Next is Opulent Midnight, a purple to red to berry multichrome that also shifts to bronze to orange to mauve. Formula was thin but not as floody, it applies sheer on the first coat. This is 2 coats and no top coat. I do love the berry color here, I love that particular shift. 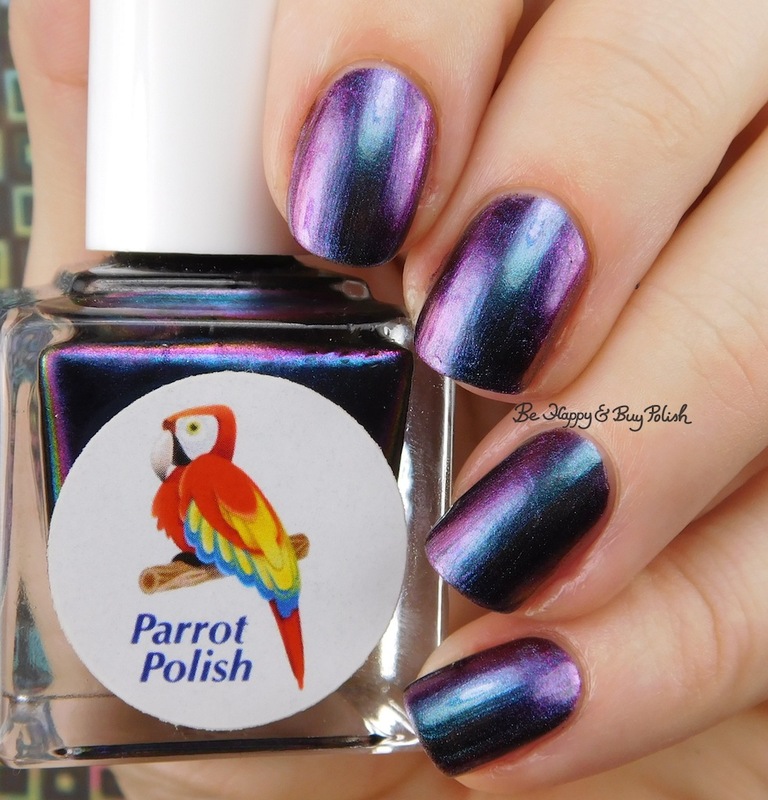 Last is Northern Sky Lights, a multichrome that has shifts of purple to blue to teal to red to violet. 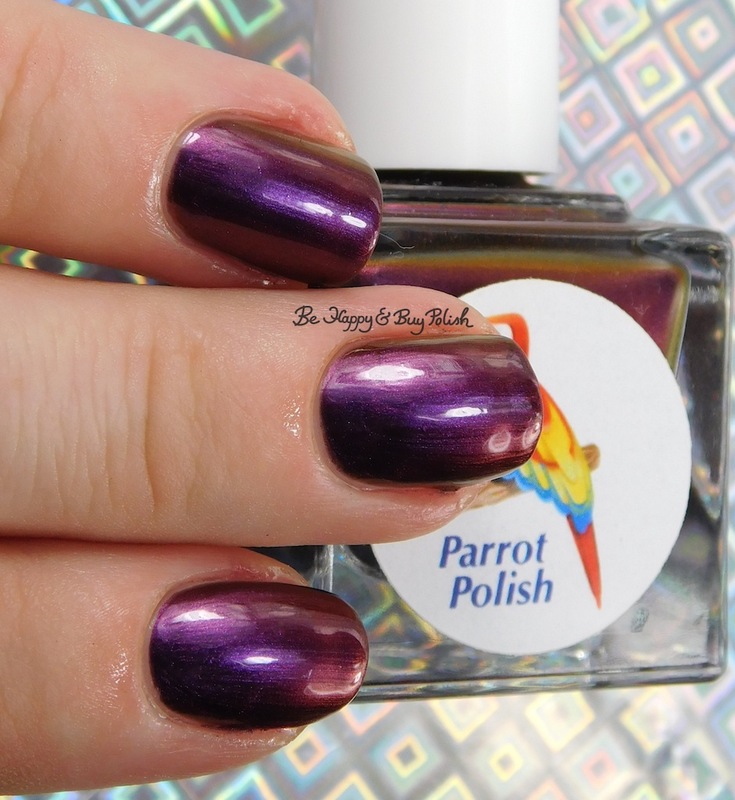 Formula was a little thin but not flooding my nails, it applies sheer on the first coat. This is 2 coats and no top coat. I thought for sure it would be my favorite, but I do love the teal green shift of this. It’s eye-catching for sure! For my nail art, I started with a black base and started randomly smooshing all three colors around. It really ended up looking like an oil spill, I think! It was so seriously pretty, it was hard to take off. All the polishaholics in the house know what I’m talking about, right?? 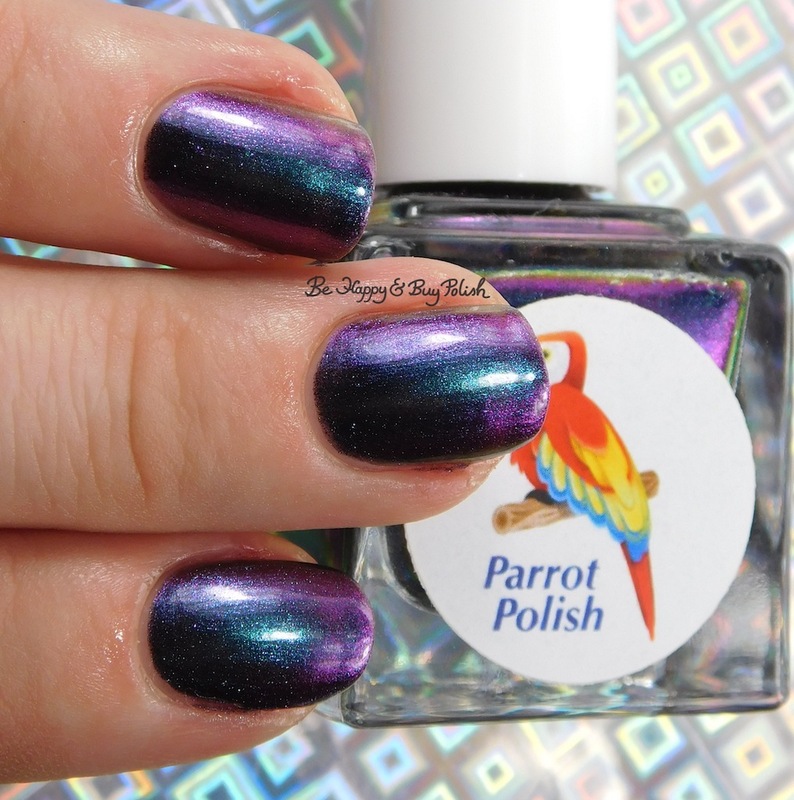 I’m sorry/notsorry to show you polishes no longer available but I think you should join the Multichrome Madness group as the May customs from Girly Bits Cosmetics have been revealed and they are equally stunning! Great swatches of these colors. I really like the look of them too. 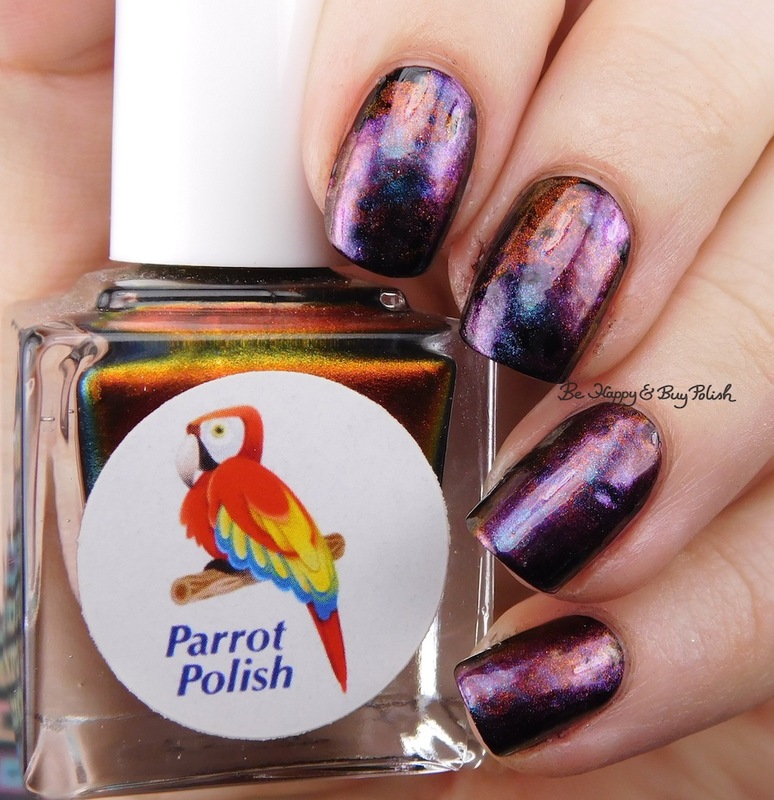 Your pics of multichromes are phenomenal! Thank you so much! 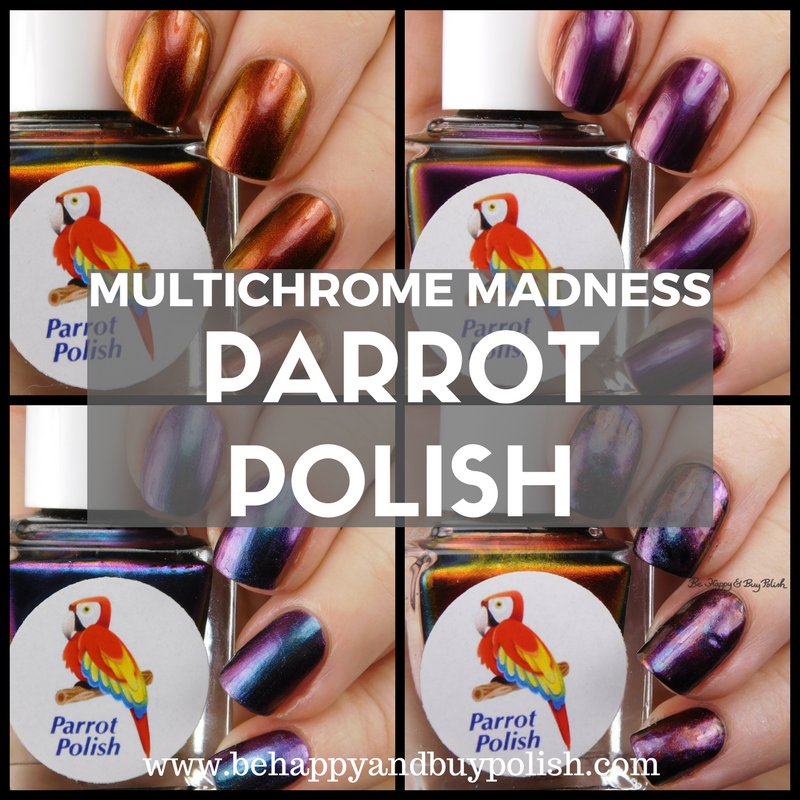 I feel often inadequate when I blog about multichromes. Wow. 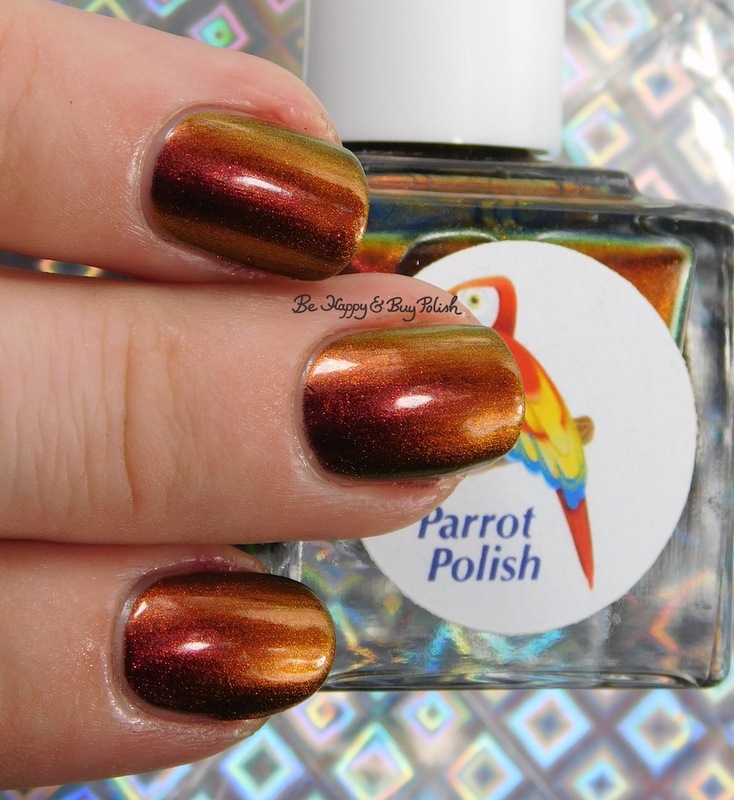 Any chance that Phoenix polish will ever come back? I need it.